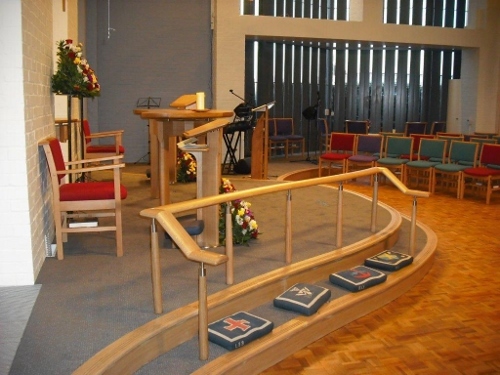 Complete redecoration and re-ordering of worship area and refurbishment of hall and entrance lobby. Carefully strip out and store items for reuse once works completed, including the protection and sealing of the church organ which remained in place during construction. 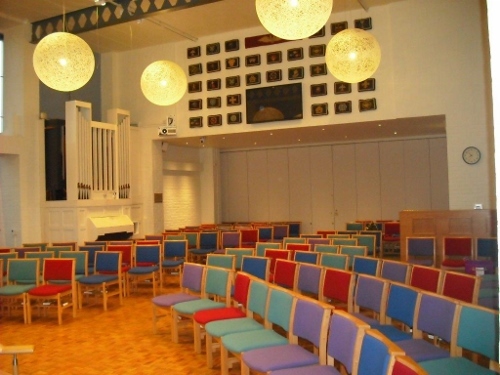 Structural alterations to form new entrance doorways. 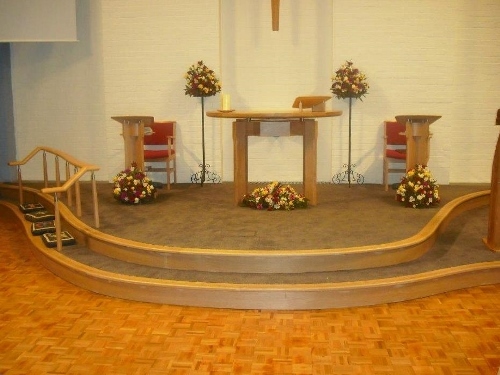 Formation of new timber dais with deck, steps and removable communion rail. Extend wood block flooring to match existing using salvaged blocks. 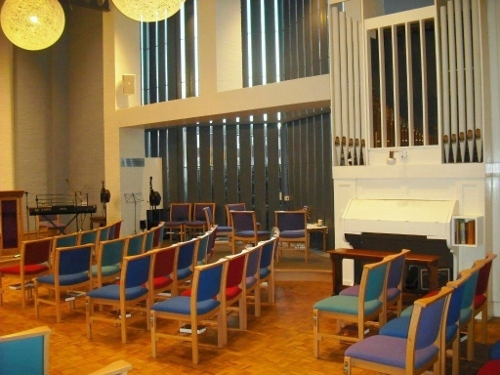 Install new shelving to south window and recesses beside worship entrance doors. 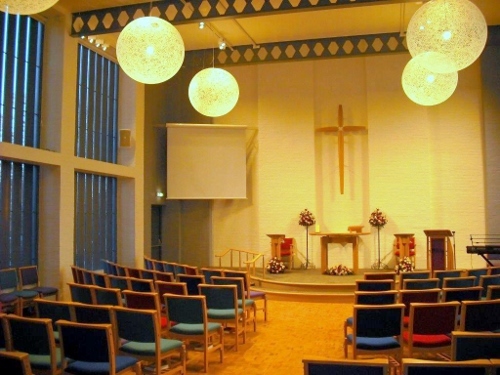 Extensive electrical installation including emergency/fire lighting and bespoke lighting, AV and PA system. External works to reduce levels of paving outside fire door to match existing.